Take complete orders:Preprinted areas simplify write-ups of customer information, description of services and parts & more. 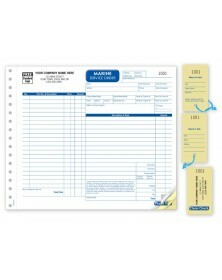 Stay organized: Plastic coated wire fasteners and detachable claim checks included. Handy! 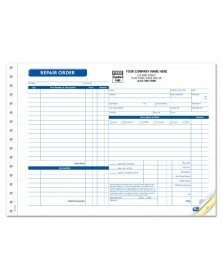 Form has preprinted technical service checklist. Detachable. 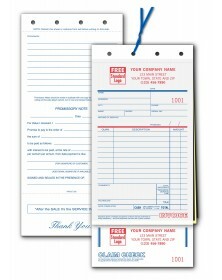 Each set has detachable customer claim check & item identification tag with matching consecutive numbering - helps you avoid mix-ups. 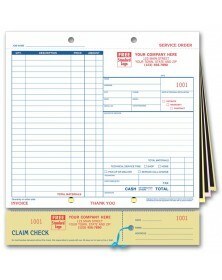 Multi-function HVAC business form includes a work-performed checklist that keeps you organized & provides customers with a detailed service record. Lots of checkboxes & specialized fields let you write up every job quickly & include all the details. 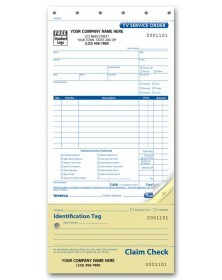 EPA checklist ensures you're in compliance with regulations on every job. 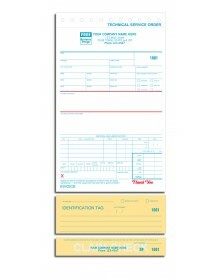 Carbonless 3 or 4-part forms. 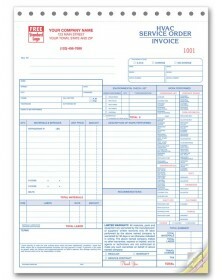 Our best-selling manual service orders instantly double as invoices! 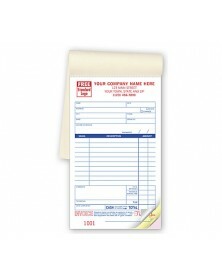 Simplify write-ups with this classic-format business form, also ideal as a payment record or sales slip. 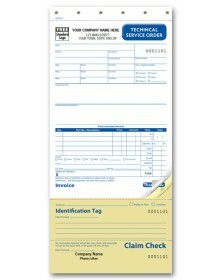 Detachable customer claim checks & vehicle ID tags make this service order perfect for organizing your daily repair jobs. 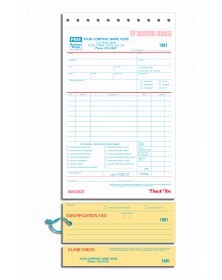 24 lines to documents big jobs, with plenty of preprinted areas & handy checkboxes. 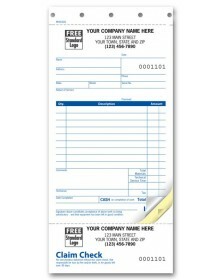 Last part is durable tag stock, serving as an account payment record. Plastic covered wire fasteners included. From retail to repairs, no service should ever be delayed or unclear. 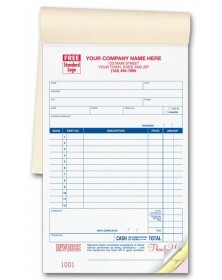 For making sure all tasks are thoroughly and effectively carried out, equip your staff with our service order forms. General and specific options are available for workers who venue outside the office to customer service representatives who, as a job description, take and manage all orders for a business. Recordkeeping isn’t derailed, and in fact, all carbonless or carbon-paper forms with consecutive numbering produce multiple copies. Additionally, your logo can be added to any form, free of charge.